Though she is not a psychometrician, I was reminded of Nina Simone’s song by a recent paper on identifying gifted children, which found that an IQ test was better than the standard teacher referral systems at detecting bright black and hispanic kids. Good news I thought, and yet another vindication of intelligence testing. However, before talking about that study, I want to heave half a brick at the concept of “giftedness” as regards cognitive ability. My irritation is that the concept is applied in a way which suggests that there is another avenue to being bright than that of being bright. “Giftedness” researchers tend to cluster in a separate reservation, arguing that they can detect this gift in a way particular to them, and that it is different from being intelligent. Doubtful. This study also reminded me of my first months testing the intelligence of children referred to a child psychiatry clinic, and coming across a young black boy with an IQ of 140. On starting my job I had decided, slightly against the usual custom at that time, to give all children and their parents a summary and explanation of their test results. I suggested to his mother that the boy’s father should ring up, and when he did, very happy and excited, we planned extra reading and events for him. My records of that period must be long lost, but it would be interesting to know what became of him. In 2012, 7.6% of White K−12 students participated in gifted and talented programs nationwide, compared with only 3.6% of Blacks, 4.6% of Hispanics, and 1.8% of English learners. In Florida, an IQ of 130 is required for gifted status. That immediately suggests that the above figures are too high, since only 2.2% would be expected among white students and 0.13% among black students. Odd. Perhaps they are merely “promising” rather than actually “gifted” students. It turns out there is a Plan B stream comprised of English language learners and financially poor students who are allowed in at IQ 116. That laxer benchmark would allow in 14.3% of white students and 1.9% of black students. In one test district a group non-verbal intelligence test was used to select bright children, and then face to face testing was conducted to confirm “gifted” status. Cut-offs were 130 and 115. Our analysis yields three main conclusions. First, the introduction of the screening program led to a large increase in the fraction of students classified as gifted. Second, the newly identified gifted students were disproportionately poor, Black, and Hispanic, and less likely to have parents whose primary language was English. They were also concentrated at schools with high shares of poor and minority students and low numbers of gifted students before the program. Thus, the experiences of the District confirm that a universal screening program can significantly broaden the diversity of students in gifted programs. Third, the distribution of IQ scores for the newly identified students was similar to the distribution for those identified under the old system, particularly among students who qualified under the Plan B eligibility standard. The newly identified group included many students with IQs well above the minimum eligibility threshold, implying that even high-ability students from disadvantaged groups were being overlooked under the traditional referral system. Note that whereas before there were two entry routes there are now 4, or possibly even 6, each with an error term. That is because at each stage there will be errors of commission and omission. Some kids will be unjustly turned down, and possibly some accepted through lucky guesses. The technique of using intelligence tests will identify bright children, which is precisely what intelligence test were designed to achieve. So, IQ testing has produced an excellent result, with a better discriminative power than the referral system, and far fairer. Although it is nothing strictly to do with the selection method, the twin cut-offs are a messy complication. Half were judged by 130 and half by 115 cut-offs. So, they want the gifted, and the half-gifted, on the assumption that the latter would be gifted but for adventitious disadvantages. Let us look at the results. This is the test used. It is non-verbal, which is a big advantage when discussing racial and cultural differences, because it is assumed that verbal tests are more subject to those influences. 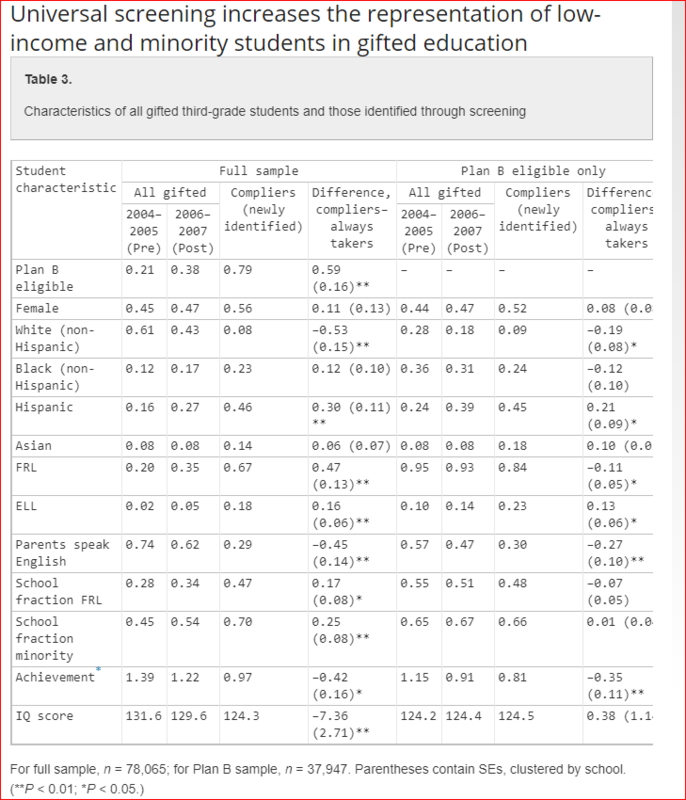 Here are two key tables, Table 1 showing the basic facts about the samples from which the selection was made, Table 4 showing the characteristics of the selected “gifted” children. Table 1 is complicated. It gives the demographics of the students, which is fine, but then reveals that half of them are deemed eligible for the lower entry standard Plan B. So, the simple explanation is that this group had fewer gifted children, but that IQ tests were better at detecting them, albeit to the lower standard required of them. Table 4 is also complicated. For the full sample of 78,065 students (see bottom line) the average IQ is roughly 130, for the 37.947 on Plan B the IQ is 124. Scholastic achievement scores are much higher in the full sample than the Plan B sample. So, Plan A students are probably at a mean of 136. In fact, one of the unremarked features of the data is that, as the proportion of white children in the school population falls from 61% in 2004 to 43% in 2007, achievement drops from 1.39 to 1.22, and even more in the Plan B group. There is more detail which could be looked at, but I draw two main points from this paper. The first is that a test of intelligence (in this case a 30 minute non-verbal one) is the best method of screening children for inclusion in programs designed for children of high intelligence. The tests work better than letters of recommendation. Commendably, the tests identify more bright children who are poor and black than do teachers. Again, this is what intelligence tests were designed to be: “school far” rather than “school near”: they were intended to pick up bright students who had ability, and knew the things that any bright person might know, and not just the specialized knowledge someone who had been to an expensive school might know. Working class advancement, the detection of true merit, the collapse of unwarranted privilege: all good stuff. The second thing is that Florida’s view of giftedness is based on a double standard. A Black or Hispanic child gets access to a gifted-child program when they are one standard deviation in intelligence lower than white children. The presumed justification is that the lower scores for Black and Hispanic children are entirely due to environmental circumstances. I find this a questionable procedure, because it makes assumptions about language and poverty having deleterious effects on intelligence which I do not think are properly validated. The intelligence test scores were not based on verbal content, nor on general knowledge or vocabulary, so they ought to be the best measures of ability. A final suggestion: the authors explain that this potentially promising project was stopped because of financial constraints. It is a historical review of a program, but here is a gentle suggestion: tell every school that the giftedness program will be offered on the basis of the results of a short non-verbal intelligence test, and that parents cannot pay for private intelligence testing. Drop the expensive face to face intelligence testing at schools. Drop Plan A and Plan B. Explain that the plan is to take the brightest 2 to 3% of the school population, and the cut-off will be set accordingly. Then get on teaching the extra lessons for the brightest students. 145 Comments to "Young, Gifted, and Plan B"
Our son was accepted into a system-wide school “gifted” children’s program in elementary school. He did not qualify as “gifted”. However, the school system wanted a mix of “gifted” and normal but high achieving children for a more normal academic experience for the privileged “gifted” students. Come to think of it, the “gifted” students needed a population to outperform to prove their “gifts” … or something like that. My wife and I acted as chaperons for field trips for the “gifted” students. Without question, we noticed the much higher verbal and perceptual performance among these students. However, our normal son outperformed the “gifted” students in academic performance. He earned straight “A”s in the curriculum. The damage to our son for participating in a “gifted” program surfaced a few years later. In high school, he systematically failed to study under the rationalization that he was also “gifted” and, therefore, did not have to study. The consequences were predictable … and may explain why our son originally outperformed the “gifted” students in the elementary school “gifted” program. Perhaps the “gifted” students also saw little reason to study. The problem: human nature! You are “gifted” and therefore you are brilliant. If you are brilliant, you already know everything. Therefore, you do not need to study. But don’t worry, the good things in life will also be “gifted” to you (pun intended). “Pride cometh before the fall …” with hubris being the root cause of most of the personality disorders in the Diagnostic and Statistical Manual of Mental Disorders (DSM). As a grandparent with exceptionally bright grandchildren, I abhor the thought of any of them being placed in a “gifted” program. In all ages, including this one, being normal with a capacity for empathy and love trumps being idolized as “gifted” any day and every day. Congratulations, doc, on not once mentioning the old British “11 plus” system: masterly self-control. Are there any countries left that do that sort of screening for secondary schooling? I don’t necessarily mean a system that sends children to different secondary schools, but one that at least directs the children into different “streams” or “tracks”? An Australian friend of mine once boasted to me that his secondary school didn’t have a pernicious streaming system, oh dear no. Later he let slip that the children self-streamed by choice of subject: the dimmer children tended to avoid maths, science, and foreign languages in the later years of school. As is the way with us fallen humans, he sent his own children to the most selective secondary school he could find. I agree that, sometimes, effort can be lacking, though in university most students realize that they are roughly equated for ability and opportunity, but must distinguish themselves through effort. Germany, surely? Most, if not all, Gymnasia are selective. They certainly were ‘in my day’. Are they still? How about France? Gifted program is nothing different than normal schools, just another factory to analyze superficially and select for high functioning workers, if school format is a pre-workplace. Gifted program also could be named “semantic memory program”. Of course something that lacks so much in many extremely important places as in government, wisdom (kindness/ideal proportional judgment and understanding), is even thought as relevant. Gifted program is a little more democratic Mensa-program, because don’t select their puppies based on very higher IQ scores. Both tend to be IQists. But I also dislike that instead really try to take all types of real “gifted” youngsters, this new approaches just follows, exactly, one of the Jew/new human idiocies: “ad diversity”/multicoosti”. Hi Dr Thompson. Off topic but I’d like your thoughts. You too res. Are you aware there is an empirical basis for multiple intelligence theory? Several limitations to this analysis should be noted. First, by necessity the interpretation of the data from over 318 studies had to be conducted with broad-brush strokes that accentuate the frequency of neural citations for a specified class of cognitive behaviors. This approach can neglect or minimize the importance of a particular structure or even multi-region activation patterns and conductivity efficiencies. Also, instances of neural inhibition were missing from these accounts, though these may arguably play a crucial role in cognition (e.g., reduced critical thinking in the service of divergent thinking). A review of the neural data for each intelligence by an expert review panel would go a long way toward evaluating and clarifying the neural architecture for the intelligences. Clearly not. It’s moved from semantics and verbal arguments to an empirical basis for Gardner’s theory. Interesting. Thanks. For anyone else interested, I found the PDF formatting easier to read than the web version. The web version works better for following supplemental material and references though. – The degree to which they correlate with g.
– The ability to operationalize (e.g. measure and take action based on) them. Personally what I object to most is the attempt to dismiss IQ/g by invoking MI. I have yet to see an attempt to do that which was even moderately convincing (addressing the arguments above would be a good start). Saying that a hierarchical model exists is not a rebuttal of the utility of a first order model. Just stating the obvious that a first order model is just that–first-order–and the interesting question is how much utility does that simple model have. I have trouble assessing their methods to associate brain areas with “core cognitive units” with MI areas. They seem plausible to me, but I would be interested in other opinions. Pulling the two steps between these three levels together seems to be the primary accomplishment of this paper. One thing about the brain/MI associations is they provide a good case for the possibility of specific genetic and/or environmental timing impacts on brain development impacting MI areas. This fits nicely with a model where g is more a result of overall brain fitness caused by good broadly applicable (e.g. neuron structure, myelin, etc.) genetics and developmental environment (nutrition, etc.). I was not sure how to interpret section 3.9 General Intelligence (beyond it being an obvious rhetorical attempt to reduce g to simply another MI). It is frustrating to me (did I miss it?) that they did not analyze how many of the overall citations were related to each brain area. This is an important baseline for interpreting their tables. It also frustrated me that Table 12 only addressed rank ordering. I think it would have been much more illuminating to give 10 stacked histograms (the 8 MIs, general intelligence, and overall) of citation % by brain area. I think this would much more graphically show the patterns of brain area relationships. I don’t know if they make enough of their data available to create such a graphic. They say all data is available on request. I downloaded the supplemental Word docs, but the Supplemental Dataset link did not seem to lead anywhere useful. One direction this research might build on is to look at the tissue correlations for IQ SNPs as they are identified to see if their relationships to aspects of MI can be identified. Are there any neuroscientists here who can comment on the MI area with brain area associations they have identified? Lawl, there never are specialists commenting in comments sections of far right blogs. *Cringe*. Gardner’s intelligences are real different and likely independent abilities. Whether it’s appropriate to call them “intelligences” is an other question, but one can’t deny that they capture more aspects of human life than IQ tests do. Also, the brain has different parts with more or less specific functions, that’s a fact. Some physiologic factors (nutritional, hormonal, metabolic…) can possibly reduce mental health and performance, and experience can create more efficient neural pathways. However, I think it’d be unlikely that an internal general factor causes all parts of the brain to be intrinsically and innately better developed. I’m talking about intelligence concept and I don’t said “everything about this debate”. Although g does, of course, relate to scholastic achievement (e.g., Deary, Strand, Smith, & Fernandes, in press), it also relates to a host of important nonacademic outcomes. We know that g is the most consistent predictor of job performance, with validities increasing with job complexity (Hunter, 1983; Schmidt & Hunter, 2004), and also the best single predictor of future indicators of socioeconomic status, such as educational achievement, occupational status, poverty, and even incarceration and chronic welfare use (Gottfredson, 2002). The construct validity of g as general cognitive ability is supported not only by its prediction of academic and real-world outcomes, but also by its biological basis. The g factor correlates highly with such biological variables as cerebral glucose metabolic rate (Haier et al., 1988), various parameters of averaged evoked potentials (Vernon, Wickett, Bazana, & Stelmack, 2000), and brain volume measured by MRI scans (McDaniel, 2005; Wickett, Vernon, & Lee, 2000), as well as reaction time (Vernon, 1989) and inspection time (Grudnik & Kranzler, 2001). These biological and basic cognitive correlates of g would seem to be prime examples of what Gardner (2006-this issue) refers to when he calls for measures that are “intelligence-fair”. So much for that assertion of yours. Hopefully you make some better points later. 1. This is a far right blog. 2. Specialists never comment here. Of course you can always play “no true specialist” I suppose. *Cringe*. Gardner’s intelligences are real different and likely independent abilities. Let’s take a look at some evidence. We investigated Gardner’s “Theory of Multiple Intelligences” in a sample of 200 adults. For each of the hypothesized eight “intelligence” domains–Linguistic, Logical/Mathematical, Spatial, Interpersonal, Intrapersonal, Musical, Bodily-Kinesthetic, Naturalistic–we selected two tests based on Gardner’s description of its content. Factor analysis revealed a large g factor having substantial loadings for tests assessing purely cognitive abilities–Linguistic, Logical/Mathematical, Spatial, Naturalistic, Interpersonal–but lower loadings for tests of other abilities, especially Bodily-Kinesthetic. Within most domains, the two tests showed some (weak) non-g associations, thus providing modest support for the coherence of those domains, which resemble the group factors of hierarchical models of intelligence. Results support previous findings that highly diverse tests of purely cognitive abilities share strong loadings on a factor of general intelligence, and that abilities involving sensory, motor, or personality influences are less strongly g-loaded. However, I think it’d be unlikely that an internal general factor causes all parts of the brain to be intrinsically and innately better developed. I gave some examples of possibilities in my earlier comment. But let’s look at the opposite. Do you think it is possible that poor nutrition (or other environmental insults) can cause all parts of the brain to be intrinsically and innately worse developed? It’s not totally independent but when you are engaged in some specific task you don’t use all of you cognitive skills or all of your intelligence (psychological side included). It’s mean something. G factor don’t cancel the existence of different domains which can be labeled “intelligences”. G factor is not contestant with different domains because it’s about generality and not about specificities. The study you showed even talk about intrapersonal domain, one of the most important of all, indeed all the time we are dealing with people who are chronically problematic in this domain and obviously ourselves also tend to be significantly blind about it. Sometimes I wonder if Affirmative Action isn’t the brainchild of a White Supremacist. Take the smartest minority kids out there, who might learn well in a normal environment, and put them in with kids way smarter than them so that deep down they’ll know they’re inferior to the smart Whites. When you listen to a guy like Obama try to make a speech, you can tell this guy isn’t that sharp and even with all his bravado, there’s a look in his eye that tells you he knows he’s fighting weigh above his weight class, and this lightweight graduated from Columbia and Harvard. Crazy stuff going on in the USA. Slightly hinted upon in the article, and then indirectly, … the quest for individual talent within all groups, group analysis being secondary, a relative co-relation, should be on. Individual differences are of more importance then group differences in IQ. The testing, the breeding, genetic analysis, and later on genetic manipulation, that is where the difference can be made to acquire brighter elites that can make a stance as to humankind’s future. This is a timely affair, and the single most argument of importance to get a brighter future out of a smaller world population and a healthy planet. The above figures are for the entire United States, not just Florida. The definition of gifted varies from district to district and the ages that children enter a gifted program vary widely , sometimes even in the same district such as New York City. Gifted programs are primarily used to keep white homeowners in a particular town and keep their white children away from blacks and Hispanics in the public school system. All-white towns/schools rarely have a need for a gifted program. If an all-black school has a gifted program, obviously all the children deemed gifted will be black. The kids were not just selected by IQ, but by subjective measures. This subjectivity was an excuse to kick white children out of the gifted program and replace them with poor blacks and Hispanics. You should really educate yourself on American culture because your reading of the data is completely wrong. As Americans we understand that there are perhaps a dozen educational institutions in the entire country that admit applicants solely on merit – such as Caltech and eight of New York City’s specialized high schools. Every other institution has some “holistic” screening, like the gifted program in the study, that lets administrators cherry-pick whoever they want. Germany, the Netherlands, and Singapore all direct children into separate secondary school tracks. The tracks are: 1. university-bound 2. polytechnic-bound, for careers such as nursing or bank manager 3. vocational. Mandatory schooling ends at age 16 in Finland. Those who choose to continue with upper secondary school in Finland will be place in either a university-bound or vocational track. In all countries it is possible to enter a university from a non-university-bound track but it is very rare. A few years a go a polytechnic student in Singapore got into MIT, which of course made the news. I think this is also a risk of reading a lot about HBD, psychometrics etc. – especially if you got a good IQ test result in your hands. It makes you to expect things for free and can damage the working attitude. Actually a quite dumb behavior, yet only human. Thank you. How is the segregation accomplished – a combination of IQ tests and achievement tests, perhaps? At what age is it done? Posts like this make me wonder exactly what it is the Moderators do on this board. Sorry, i commited a mistake, yes… there is a intrapersonal domain here. Basically g is strong in cognitive domains and less strong in psycho-cognitive and in kinesthesic domains. But based on ”my” own conceptual view about g [what g really mean] g will be strong in all of them, because there are specific g for each specific domain. in the latter half of the 1990s, I knew a woman who was working with ‘gifted’ elementary students. She was 100% pure Bleeding Heart Liberal, certain that the gap between black and white was a product of nothing more or less than Racism. She’d had a few blacks kids qualify for Gifted programs, but she wanted one from the ‘wrong’ background, for that student, taken under her wing and nurtured, would prove her theory – which would mean that if the country doubled and then tripled spending on black welfare and education, we could elevate the black race to where it would have been if not for racism. 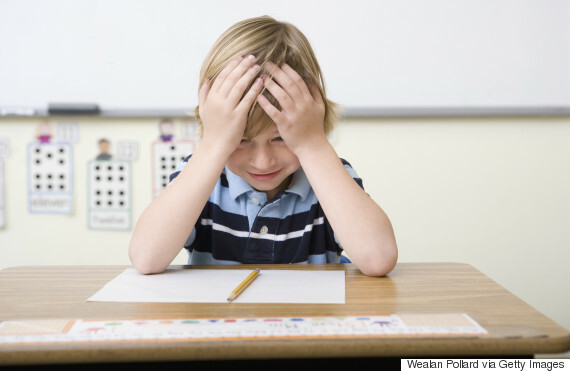 This boy’s IQ tested to something just shy of 120, or perhaps shy of 125. His father was not in the picture and not even certain. His mother had five other children by at least two other men. Fruits tell all we need to know. You are way overthinking. And it may be that you do so because you do not know cultural history. Rich Yankee WASPs always had a deep need to prove that Negroes were not merely equal, but actually superior, at least in ‘spiritual’ terms, to whites the WASP Elites despised. And poor WASPs have always jumped on that game to bash ‘other’ whites. Privileged WASPs in the UK developed simian cartoons to bash the Irish as developmentally and inherently inferior well before anyone anywhere used similar cartoons to mark Negroes. Boston Brahmins and WASP Elites in New York and Philadelphia did the same. Abolitionists always got around to arguing that Negroes clearly were superior to at least the poorer whites in the South as well as to Irish and Polish Catholics. WASP culture has always been about WASP Elites ruling against the best interests of the vast majority of white Christians they control. And once WASPs discovered Negroes, they made them weapons and tools with which to bash non-WASP whites. This was both my and my child’s experience both of us barely gifted its enough in primary school to easily out perform your class with zero effort. What happens though is as school progresses subjects are introduced which though not really difficult they at least require some memorization after school. Foreign languages and math have rules and formulas vocabulary etc. While you are probably already tearing through graduate level literature, have a college level grasp of history, even most science is probably a hobby. you really cant be bothered doing homework.Youre never nervous you will fall behind you know you can learn anything on your own if you want but youre a kid and you want to do what you want to do.And yes youve been told for a long time how bright you are.So neither of us finished high school even, in the long run I did well and Im sure she will but I didnt become a scientist as imagined well not officially anyway.I cant even type or write well anymore because I stopped in about 9th grade until the internet became a thing . I still read and do science and ended up in a career with lots of math it turns out Im good at. Could you please give us a sentence or two describing videos and why they are relevant. I just spent 7:48 watching these and wondering why they are here. I am still wondering. Another unfortunate side effect of letting the more intelligent know just how special they are (after all, what would you expect from a child who is told at an early age that he is “gifted”?) is that some of them get the idea that rules which apply to others do not apply to them. The best example of this is Bill Clinton, certainly an intelligent man but one who, along with his wife clearly demonstrates his conviction that rules were made for the little people of normal and low intellect. The districts in my area (West coast) all use a combination of an aptitude test such as CogAT and an achievement test such as Iowa Basic Skills Test or Stanford 10 to determine giftedness. 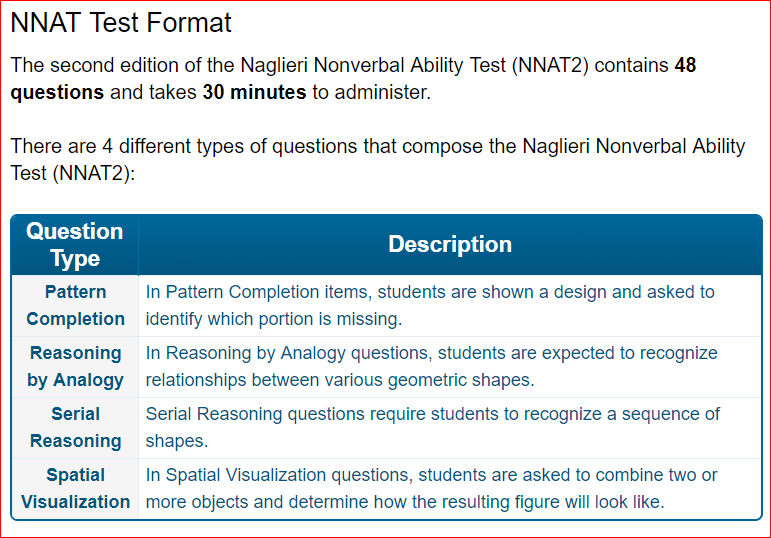 The CogAT test has 3 components – verbal (a lot of analogies), math(analogies, trick math questions) and spatial(pattern matching). The achievement tests usually test verbal(reading comprehension) and math(math reasoning, problem solving). In almost all districts, all children are tested at the 2nd grade(age 7). In most districts the top 2% go to a full time gifted class, the top 3&4% go to a part-time gifted program. Some districts have a 2 tier full time program where the top 1% get accelerated by 2 years in Math, while the top 2% get accelerated by only 1 year. There’s usually no acceleration only enrichment for the part time program, which goes anywhere from 2 hours per week to one full day per week. Many districts also allow kids to test in after 2nd grade if they show promise, to capture those late bloomers. Some kids also drop out because they don’t like to do the extra work in a gifted class. The presumption is that CogAT is a quasi-IQ test that tests innate aptitude therefore cannot be taught, while the achievement tests show the willingness of the child to do the work. In reality those 2 scores are often highly correlated. Our area has a high concentration of Asian families, who are in the habit of having their children “test prepped” for the CogAT. To what extent that affects their scores is anyone’s guess. I have seen children who were test prepped but still could not get in, and I have seen children who should not have gotten in but still got in. My own children were never test prepped, one didn’t get in, the other breezed in with a perfect score. I have read that in NYC a lot of (white) parents test prep their children for the OLSAT which is very similar to CogAT. Of the students who at least tacitly understand that they are roughly equated for ability how many want very much to distinguish themselves in a way which may be achieved by effort, especially when they could need to conceal the appearance of effort to avoid prompting others to negate the benefits of effort by increasing their own? And why wouldn’t one expect many to be inspired by thoughts of “thinking smart”, lateral thinking or divergent thinking to try and break out of the competitive slog by something not usually equated to “effort”? 200 individuals, eight (ambiguous) categories, ….. to “factor analysis”!!! What a waste of time (and resources) most psychology/sociology “research” is. Insert ‘JEWS’ wherever Jake says WASPs. Frankly one should do away with all such “gifted” programs. We do NOT need governments/ politicians/ bureaucrats defining children and directing their development. In fact, most of “our” systems are now so corrupted that we should probably protect children from exposure to them. The real issues are NOT about sorting children (and adults) into bins for a corrupt corporatocracy/ bureaucracy, but how to guarantee that the maximum number of people have the resources to escape from the corporatocracy/ bureaucracy. Perhaps banning government use of psychology/psychiatry/sociology would be a good start. I guess you prefer assertions with no evidence at all. To each his own. Lateral argument… don’t refute the central point. Although some static digits generated from the performance on a one-size-fits-all standardized exam, which can somehow accurately measure their “intelligence quotients” have not been made available, it’s safe to say both Darci Lynne Farmer and Magnus Carlsen, are two examples of “young gifted” individuals. 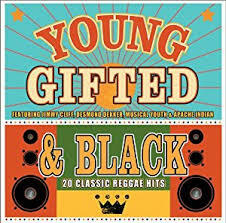 I’ll agree, in the sense that “young gifted” is a subjective concept. If they believe that they must be quite dumb, since in Britain, as many other countries, something like half of those completing secondary education go on to university. Clearly the ability of university students must encompass at least half of the ability range of the entire population. Why not teach all children at their own pace? Then there would be no need for “gifted” programs. Smart kids would progress through the K-12 curriculum in less than 12 years proceeding to university in their early teens as used to be the case, e.g., Adam Smith at age 14, James Clerk Maxwell at age 16. Ideas pioneered by the Khan Academy and others surely provide a way forward. Children can obtain online instruction at home, while at school, teachers can devote their time to testing and tutoring to keep each child moving forward on their own track at their own pace. The “evidence” presented is incapable of supporting any of the assertions. This is snake-oil for the gullible. Actually, all they do is identify some studies that looked for connections between each of Gardner’s MI aspects. They found that these connections differ (indeed, given the very low statistical precision of neuroscience, one would expect them to differ purely by chance too!). No one is surprised and it is not good evidence for MI. MI is already falsified. Indeed, it was falsified before it was proposed since of course we already knew that these abilities are correlated (verbal, math-logical, spatial, musical). MI is mostly about trying to rebrand the word intelligence. Jensen recognized this and just switched to another term to avoid the semantics game (also to avoid associations with artificial intelligence). His mistake was conflating the general intelligence trait with the general factor of factor analysis/PCA (g factor). While they are usually correlated near 1 (with a good battery of tests), they are conceptually distinct and in some cases deviate substantially. The most clear case of the deviation is when one compares test-retest IQ gains, which of course one can express in g units too. However, no one increases their general intelligence by taking the same test twice (Flynn’s fallacy). The link to the understanding of the FLynn effect is obvious. CanSpeccy, your conception of a multi-leveled educational system is certainly appealing to me. Looking back, marching along in age step with others during my mathematical education clearly was not an appropriate approach to develop my talent. Once passion has been demonstrated, an individualized learning path should then be followed. Waiting for the age appropriate time to demonstrate ability using the time schedule of other people does not lead to high performance results. Why such an obvious modification has not been generally attempted in institutionalized schooling should be no great mystery: school is one of the only life experiences in which great effort is made to mute intellectual differences. As noted above a strong motivating factor behind gifted programs could be to create even greater cognitive cohesiveness near the center of the bell curve. Extremely age segregated classes among other factors also help narrow the cognitive range. However, large societal forces are looming that will make the egalitarian ideal of the one room fits all model of school a quaint curiosity from the past. One of the drivers of this change surely is demographics. Our city has already closed a great many schools and yet there are still a great many nearly empty schools that remain. In order to stay open these schools are now in a desperate race to re-brand themselves. These same schools never felt such efforts to be student focused necessary when they were fully enrolled. However, it is now obvious that only the most innovative and competitive schools will have a future. Such a Darwinian selection process should have always been required to secure the vast amounts of public financing that flows to our public school system. Our children deserve no less. As an example to illustrate how extreme this competition already is, one of the lowest income communities that is in the middle of a public housing development in our city has recently announced that it will re-brand as a high end dedicated information engineering themed high school. When I first heard about this I was stunned. Nothing like that has ever been on offer before. I believe that this is unique not merely at the level of our city or region or perhaps even nation but possibly on a global scale. Such a conception of education is highly compelling and I am more than slightly jealous that I will not be part of this adventure. if these kids invented some multi-billion dollar technology. Gifted children’s programmes destroy the work ethic as my family knows to its cost. The last thing gifted children need is extra lessons while they are in the same stream as Normies. Complete separation on the Grammar School model or nothing at all, not even identifying them. Because this abilities is correlated it’s doesn’t mean no there such thing “multiple” types of intelligence or combination of this abilities. 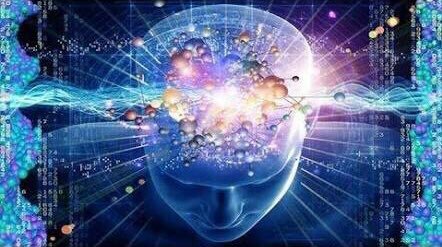 Indeed the trope of “g exist and specific abilities/aka MI don’t” already accept the existence of cognitive abilities as: verbal, mathematical and spatial. So why not accept the others?? Intra and interpersonal are basically emotional intelligence or abilities. I agree that “multiple intelligences” seems quite forced and that some new types of intelligences has been proposed as”spiritual intelligence” can be belong among already existent types as emotional. I find the modern school environment highly disturbing, a point of view that increasing numbers of the public share. Thus, the mass evacuation taking place from the American school system to home schooling, charter and cyber schooling. At the same time, a transition is now underway that will further increase average academic achievement levels. Some jurisdictions now are enforcing minimum school leaving ages of 18. Recently, New York State legislated state funding for college with a mean test. A future in which minimum leaving ages of 30 with a mere PhD can no longer be casually dismissed. Some might cheer such a development as a great step forward, however creating a custodial model for our young people without more frequent monitoring of performance could lead to more than a lost weekend or two in people’s lives; perhaps they will have lost decades resulting from substance abuse. If true, the consequences for our society would be severe. Given the trend towards drug legalization, the future for a big tent model of schooling is quite limited. Without a shared set of values that addresses such questions, more will seek refuge from the current system. The creation of such a stark lifestyle divide would overturn the heroic efforts that have been made through the school system to form a cohesive egalitarian society and nation. Don’t overlook further segregation by university, major, peer group, etc. Perhaps it would be more accurate to say that the top 2% “gifted” students realize there are very many people in the world within the top 2% once they go to university. I genuinely do not believe one who is gifted at Chess playing will be extraordinarily outstanding in life. Their brains are wired only within a confine of knight L shape jump and Castle rectangular move. How would you define and explain the significance of the “intrapersonal domain”? You do yourself no credit by taking a lofty tone that suggests you have a flattering estimation of your own intellect when you apparently miss the point that res was providing a supporting study or a authority for that Afrosapiens’ “likely independent” being nonsense. If you or Afrosapiens were familiar with honest psychologists whose work includes intelligence in any serious way you would know that even if they like Howard Gardner’s ideas they admit the correlations with g.
That seems logocally incoherent except in a Humpty Dumpty sense (which maybe you are being frank about). You seem to be saying that you prefer to ignore the g1 calculated by multifactorial analysis across all the usual linguistic, mathematical etc “domains” and to calculate a g2, g3, g4 etc for each of the domains separately using the results of multiple tests wìthin each domain. Of course (in practice if not a matter of strict logical necessity) there will be a strong (Humpty Dumpty) “g” in each of them. But the main point of g, namely that it is a measure that has predictive power across a whole range of future activities and occupations requiring a high (or just appropriate) level of cognitive ability is ignored. Good stuff. I have tried adding to Santo Culto’s appreciation below and to his correctly noting that hyperbola chose to evade your point (that’s the polite version: subject to revision on evidence of recidivism). Can you provide links to studies of other general abilities by multifactorial analysis that might help to make people more comfortable with the idea of Spearman’s g and provide any non specialist with some intuitive comfort about validity. I want to ask that of Dr J T also. Suppose you were to use tests of upper and lower body strength, speed over 100 metres, 800 metres and 10000 metres, high jump (after a little training of course), ling jump, shot put, javelin throwing, cricket ball throwing, archery, snap shooting, golf, gymnastics etc etc and then do multi-factorial analyses you would certainly get some sort of g across the whole unsegmented field because the obese and generally inactive would guarantee the consistency of discrimunation. Of course the absence of needed training (apart from an analogy to the Flynn Effect) would make it hard to get a comprehensive set of test results but the concept of g might be quite neatly and convincingly illustrated. It could also be quite illuminating to fiddle round with g1, g2 and g3 etc where the particular g score was not contaminated by the notable lack of linger-than-sprinting ability or by an eyesight or eye-hand problem. Would there be/is there any such overall athletic g which has interestingly valid predictive ability or must one get down to specific partial gs? I suspect that the utility of a general g might be reminiscent of the reasons for devising the very first intelligence tests (Stanford Binet?) which was to detect the subnormal. Some children with very low scores might need a lot of help from tying their shoe laces to riding a bike without falling off…..
You could have made that story up but, even if you did, somewhere the reality would match…. Still it’s only the beginning of the analysis and the better and more comprehensive prescriptions. What is a “perfect score”? Is there a ceiling? Come to think of it, though it means the test is noy much of an IQ test, it makes sense if all you need to know is that a kid’s IQ is at least 125 (or whatever). Your points are if I may say so rather clumsily expressed and of doubtful validity but it would indeed be interesting to read a study of top chess players, their neurology and their non chess abilities and achievements – also of their kin. Links anyone? A lion is born to be a lion, and an antelope to be an antelope. Each creature is blessed with its unique gifts. So many people lose sight of their real nature, and end up spending a lifetime wandering aimlessly down one miserable path after another. The heart and not the mind, will offer one the truest guidance. #53 (at present numbering – in answer to res) I have asked for a heĺpful way of understanding g as a mathematical product by reference to a hypothetical (as far ss I know) general athletic ability. I am looking for something which might make intuitive sense to people who not only struggle with Spearman’s g; they resist it. I don’t deny that those gifted in Chess are definitely endowed with superior neural networks. Their neurons are far better equipped with all possibilities of moves. But remember, the possibilities are already defined, albeit within millions of possibilities. Einstein explored the general relativity, gravitational wave and completely paved a new field in physics. Scientists are still investigating the curvature of his brains, deep furrow, cortex etc etc etc. Imagine if you ask Einstein to play against those Top Chess players and how he would fare against. If you want to study neurology, you’d better go and recruit Go players rather than Chess players. Start from Checkers, then go to Chess, and Go players. All I’m saying is, those players’ brains are calculating within the confine of defined rules. People who’re making outstanding contribution to real lives applications, are not calculating within a defined set of rules. They are in fact expanding the boundaries. Interesting idea to look at other areas and compute a first principal component and its % variance explained. I am a fan of sports analogies (e.g. to discuss the rarity of the far right tail of traits) so like the idea of looking at athletic g. One thing about athletic g is I am convinced there are tradeoffs that would result in some components being negatively correlated (e.g. muscle mass and distance running speed). Combining that with player data at https://stats.nba.com/player/200746/ gives a lot to look at. Looks worth playing with at some point. First step would probably be to download the data and compute Z scores with consistent signs (e.g. “better” is positive). One negative is they changed the combine tests (added one and subtracted another from the initial 5) over the years. It looks liek about 50 participants per year so N=~800 for the four consistent tests. Another possibility would be looking at decathlon results. But I don’t know of any good bulk data sources. Any other ideas? Or studies? Thanks. I’ll come back when I have time. Indeed some factors positive for some sports would be negatively correlated with factors positive for others. Now I wonder about analogies in cognition. Clearly someone may enjoy using theìr time on superiòr musical performance so much that maybe their maths isn’t given time even to get off the ground, and one could get just a little closer to the competing body structure model by supposing that memory chock full of instantly available mathematical logic might crowd out some kinds of observation. But I’m not sure about finding a high cognitive ability which might interfere with performance on tests of other cognitive abilities. With an unfolding emergence of AI, one has to wonder if the human brain is destined to atrophy. It’s kind of like, how many pull-ups can the average human being complete? thank you for giving us the forward view. As you reminded us we are rapidly hurtling to a future that no one will be able to understand. Whether extremely powerful AI or genetically enhanced humanoids emerge first matters very little. A Singularity is clearly approaching and once we fall a step behind we will never be within a light year again. If you are interested in the non-autistic genetic contribution to intelligence, you simply cannot look at the elites in any field. Whether it is von Neumann with his autistic memory for every combination of numbers he had ever thought about, or some basketball player with an autistic/eidetic memory for every twist and turn with a dribbling ball and the results of said hundreds of thousands of twists and turns, the sad thing is that the “outer tail” of measurable success is contaminated by people who are not all that bright but who have (a) an unmeasured, and for all practical purposes, unmeasurable basis of talent (call it g, if you want) combined with (b) extremely rare photographically accurate autistic memories: different things. The eidetic memory quotients even out when you do not focus on the top one percent of the top one percent (useful eidetic memory as a byproduct of autistic malfunction being somewhere between one in a thousand and one in ten thousand, give or take half a standard deviation or so). Feel free to think I made all that up: I would like to be wrong: I would prefer the theory of angelic inspiration (for the best poets and painters and musicians and so forth) to be true. This is interesting. Can’t believe the paper came out as we’re talking about human brain. Just finished reading. It’s amazing, they only used a single layer neural network while the previous versions used two deep layers. Machine has knowledge, but we humans have wisdom. i.e., why they keep some algorithms to make it work better in the first place. It’s somewhat frightening, when you begin to imagine it. But a technological singularity does appear to be in the cards for humanity. Fortunately for us, we’re each equipped with an eternal soul. My personal experience, both as student and teacher, is that very bright students will find even a pretty good school curriculum boring much of the time. A group where such students can discuss and work on more advanced topics has proven beneficial in my experience…For some, the internet will provide an outlet for such advanced learning, but the problem there is a disconnect from the school environment, especially if the student questions some of the doubtful or outdated aspects of his schooling. In my experience, effort can be learned to some degree. Students have to be challenged to do fairly difficult things, and rewarded (verbally is fine) for making progress or solving the task in their own unique ways, some of which will amaze the teacher. Without serious challenges, the student’s abilities tend to stagnate. As much as anything, and I have seen this over and over at the student chess level, it’s about the student believing in himself and his abilities, whatever those may be… And that belief, in my experience, comes from accomplishing things. Students well understand the worthlessness of participation awards…. I meant, within the university that selected them, and whose exams they must sit. It’s the difference between a living being dominated considerably by their instincts versus those who are capable to manage them. Also correlates in specific or localized ways with talent levels. Very talented people are quite aware about their own weaknesses and strengths and they are always trying to improve themselves, I mean, perfectionism. When you start to understand yourself you start to detect “instinctive interferences” in your reasoning. We have many African supremacists here that defend from reasonable point of views/possible facts (subsaharian Africans has been capable to create complex societies too) to absurd ones (“we” are if not equal superior to European”s” and east Asian”s”). This clearly is the interference of their instincts which express as extreme self confidence in their factual understanding/reasoning. Without self knowledge most humans behave just like “superior primates” with complex communication system but “still” animals, not so self aware enough to not fool themselves. Intrapersonal domain is considerably correlated or needed to human evolution. Indeed one of the main differences among human populations in their intellectual quality is this capacity to, first of all, learn their own patterns. 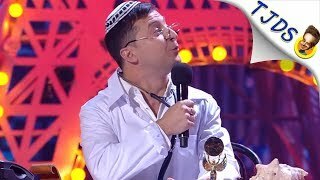 Current Ashkenazi advantage over Europeans is basically the lack of self knowledge among the second group, Ashkenazi cultural elites basically dictates European and diaspora masses cultural/behavioral narrative. They know more about Europeans than themselves and is using this huge advantage to attack European weakness, intrinsic (Faustian mindset) and extrinsic/historical (stupid moral system). To really understand reality not just the moral ones (facts became values) we must need be capable to detect subjective or self inferences to expand our heuristics/factual understanding but pretend to objective and subsequent “rationalization”. The active component o f the GE covariance results from the child ’s actively seeking and creating environmental experiences that are most compatible with the child ’s genotypic proclivities. The child ’s enlarging world o f potential ex­periences is like a cafeteria in which the child ’s choices are biased by genetic factors. T he musical child uses his allowance to buy musical recordings and to attend concerts; the child spontaneously selects radio and TV program s that feature music instead of, say, cartoons or sports events; and while walking alone to school the child mentally rehearses a usical com position. The child ’s mu­sical environment is not imposed by others, but is selected and created by the child. (The same kind o f examples could be given for a great m any other in­clinations and interests that are probably genetically conditioned, such as liter­ary, mathem atical, mechanical, scientific, artistic, histrionic, athletic, and social talents.) T he c hild ’s genotypic propensity can even run into conflict with the parents’ wishes and expectations. Jensen The G factor page 181. In another paper, which I can’t find at the moment, he said all schools should offer a cafeteria approach to education. Yes, an athletic general factor could be computed. Sportiness. As to the general intelligence factor, it accounts for about 40% of the variance, if one then goes on to look at group factors, and attribute the rest to noise or specific skills. A more rough and ready analysis extracts a bigger general factor from the lot, and this is useful for comparisons between data sets, when different assessments have been used. An analogy might help. Sportiness is assessed by 10 feats in the Decathlon: 100 metres, Long jump, Shot put, High jump, 400 metres, 110 metres hurdles, Discus throw, Pole vault, Javelin throw, 1500 metres. A pretty fair test, though there are many others sports, but these capture a good range of skills and muscles. The Wechlser is also a Decathlon, 10 tests, and another 5 supplementaries. Sure there are other tests, but these capture a good range of skills and domains. If you have specific jobs in mind, add more of the specific tests, to see if you can improve predictive power. What is the relation or interaction between cognitive skills (linguistic,spatial,math,…) with kinesthetic domain?? There is, for sure, but much less. It’s needed memory, rules understanding (linguistic), very likely some math scores (indeed I think coaches ability correlates more with psychometric g than athletes ability, 😉 ). My concept of g is very simple. It’s the underlying fundamental structure which sustain given system, body or organism. So when we have peripheral correlated domains or set of abilities, for example, linguistic versus kinesthetic, so we need another g for the late. It’s not everyone who are good at the same levels in most tasks. Indeed it’s quite the opposite, but most people have implicit differences between their strengths and weaknesses. Intelligence is not just cognition but also the its interaction with our psychological side; IQ tests don’t measure intelligence but specially cognitive skills and tendentiously applied in school and workplace tasks. To measure intelligence IQ must add creativity and rationality/heuristics/factual understanding in their menu. G is about underlying general features which interlink all cognitive subtests, I mean, psychometric g.
Sports is obviously not correlated with academic domains even everything humans/living beings do is via intelligence, because it’s fundamental to survive. So obviously sports require the use of cognitive skills too. Again more than half of all this useless debate “g versus MI” is semantic/ideological where most g-defenders are right-leaning and most MI-defenders are left-leaning, the first group to prove that intelligence distribution is unequivocally unequal and the second group to prove that because no have a only-one intelligence so “everyone is a genius in their own way”. Insensitive versus pre-hysterical groups. Bad use of reason versus bad use of emotion. Can’t even imagine the world’s biased data/information/knowledge gatekeepers such as Google, YouTube, Facebook, and Twitter running on black market algorithms and AI steroids. There’s next to no wisdom, let alone much unconditional love, in the heartless artificial souls of these exclusive private monopolies, given their dreams of establishing some kind of technocracy. I’ve got more faith in the ancient analog technology of meditation, and its ability to establish an organic interface between the human mind and infinite universal consciousness/intelligence, enabling one to download some really esoteric knowledge. I was thinking about this some more and the big problem with the sports based data is severe restriction of range. I wonder if any data sets from compulsory military service have data on physical tests. But I’m not sure about finding a high cognitive ability which might interfere with performance on tests of other cognitive abilities. I’m not either. The ones that come to mind to me seem more a matter of training than intrinsic ability. As an example, I do think it is possible to reduce the creative inclination by extensive training of more step by step approaches. Once you have a really good hammer it might be less likely to bother to pull the saw out of the toolbox (e.g. specialization). For an athletic example, consider someone who makes an effort to gain 20 pounds of upper body muscle. What kind of effect is that likely to have on distance running? It’s amazing, they only used a single layer neural network while the previous versions used two deep layers. I think that is a misreading of the paper. If I understand correctly, they combined the originally separate policy and value deep networks into a single deep network. Our new method uses a deep neural network fθ with parameters θ. This neural network takes as an input the raw board representation s of the position and its history, and outputs both move probabilities and a value, (p, v)= fθ(s). The vector of move probabilities p represents the probability of selecting each move a (including pass), pa=Pr(a|s). The value v is a scalar evaluation, estimating the probability of the current player winning from position s. This neural network combines the roles of both policy network and value network12 into a single architecture. The neural network consists of many residual blocks4 of convolutional layers16,17 with batch normalization18 and rectifier nonlinearities19 (see Methods). Supervised learning achieved a better initial performance, and was better at predicting human professional moves (Fig. 3). Notably, although supervised learning achieved higher move prediction accuracy, the self ­learned player performed much better overall, defeating the human­ trained player within the first 24h of training. This suggests that AlphaGo Zero may be learning a strategy that is qualitatively different to human play. One thing that struck me in figure 6a was the way improvement accelerated late in the training process. The improvement between days 30 and 40 was larger than the improvement between days 20 and 30. I wonder what would have happened if they trained for a longer period. It is intriguing that those last ten days resemble the “punctuated equilibrium” idea from evolution. Though in this case more likely to be caused by moving away from a local maxima rather than the environmental changes which I think are more likely to drive the paleontological version. P.S. “single layer neural network” is pretty much the opposite of a deep network. Sometimes known as a perceptron (though those two are not an exact match IMHO, e.g. perceptron assumes a step function). Thanks for the teacher perspective! I agree with you and would be interested in hearing more of your thoughts. One example which comes to mind is the summer programs from Johns Hopkins: https://cty.jhu.edu/summer/ (they also offer online programs). I’m not sure how to take that. Weak compared to his physics peers, or…? That is hardly what one would expect from someone who was truly a weak chess player. Agreed. While growing up I found sports useful for teaching the value of effort (and rewards of aspiring to excellence) since I was/am a somewhat mediocre athlete. As a teacher do you find learning the value of effort in other areas (e.g. chess) translates to academic work? Nit-picking fun: the 100m, 110m hurdles and long jump would correlate too strongly. Retain one, add 10,000 m and a swimming event (judging by the recent American chap, virtually all swimming events correlate highly so one should be enough). Would shot, javelin and discuss correlate highly? Dunno. But dump one and add (say) a ski-ing time trial. Maybe dump a second and add a shooting event. You’re still short of events that call for good hand-eye or foot-eye correlation, or an adroit change of direction: if you added rowing those look like a classic list of sports for chaps who are lousy at rugby/football/cricket. Judging by its success at school, one event should be an obstacle race. Indeed, I suggest that the egg-and-spoon race was a good way of sorting out the quick-but-maladroit from the reasonably quick but deft. 6. The best learning environment is like a good cafeteria. It not only affords the essential staples but also offers a large variety of choices to satisfy individual tastes. This allows children to discover their natural interests, proclivities, and special talents. It does not try to force round pegs into square holes. But pupils must also make some effort to learn enough about a variety of subjects and skills to enable the discovery of their areas of strongest potential for mastery. The motivation for such effort initially may have to be instigated and stimulated by parents and teachers. The father of the three Beethoven brothers had to make them practice their piano lessons; two of them discovered they were musical duds and quit taking music lessons; one of them, however, discovered he was a musical genius, but even he at first had to be made to practice, and, of course, the rest of his story is history. Psychologists now know that, at the higher levels of achievement, success is attained by individuals’ trying and selecting those pursuits that best suit their particular aptitudes and interests. That chapter looks highly relevant to this thread. I need to take the time to read it. res, I watched the AlphaGo Zero performance time series many times. One relevant observation to the topic of this thread is how rapidly performance increased at the beginning and how slowly it increased near the end. Indeed during which time frames would it be truly described as a fast learner and which a slow learner? For the gifted, this could be analogous to a nearly vertical learning trajectory at the start of their studies which would be followed by a near absence of progress over prolonged periods as they mastered a domain. It is not difficult to understand how highly talent people could flame out in such a circumstance. They would receive many rewards at the start of their learning and probably very little rewards and perhaps even criticisms during the times that they are moving into essentially uncharted levels of performance. The time series shows that there can be substantial plateaus of no obvious incremental changes in ability. This same observation should also inform the education of the non-gifted. The non-gifted would be on the left-hand of the time-series where their change in performance could move in a nearly vertical direction. Developing this latent intellectual potential should have substantial value (economic and otherwise) to the community. It is disappointing that not longer after the highest level of human ability had been matched, the program was then thought to have served its purpose and was shut down. I would be inclined to have let the machine continue to grow and learn into the indefinite future. One could only imagine what insights into Go such a computer might discover over a time frame of years or even centuries. Go is a game of such profound intellectuality that there might at least over the medium term time horizon exist no hard performance ceiling. If I had been on the team, I would probably have filed a legal injunction claiming that this computer had demonstrated a level of “intelligence” that constituted a form of life protected under international law. Turning off such a machine would constitute technocide. These issues should begin to move into public discourse because the “humanness” and profound creativeness that those on the AlphaGo website noted will only become even more remarkable as infotech matures. Yep. He sent me that one, and I ought to look for it. And these general principles are interesting to remember, and are key for the proper organization of education. I had written then down for a draft of a book, years ago. (1) all children can learn; (2) some children learn more quickly than others; (3) a child learns certain things faster and more easily than other things; (4) individual differences in intrinsic motivation for cognitive learning appear to be at least as great as individual differences in g and are to some extent related to g; (5) not every individual will attain a useful mastery of concepts and skills beyond a certain level of complexity and abstraction; (6) the best learning environment allows children to discover their natural interests, proclivities, and special talents. yes, this is frightening; it does hint at an approaching Singularity; and it is also an overwhelmingly fascinating spectacle to watch unfold: This is the instant before we reach infinity. The approaching footsteps of Singularity should now be audible to anyone. What is especially interesting to me is that von Neumann divined the sounds of the first baby crawls 70 years ago. Technology has advanced exponentially since that time and we have now nearly reached a point at which a gale force wind could severely disrupt humanity. I also found the basic outline of the AlphaGo Zero project revealing. The broad conceptual outline that was used possibly might have been applied many years ago with much more modest technological hardware. If true, this speaks more to the limits of human ingenuity than that of technology itself. It also occurred to me that the basic strategy used by the programming team could be likewise applied as a general learning strategy ( General AI?). For instance, I would be very interested to see how such a program might be employed in order to create languages similar to that of humans or even entirely novel computer languages. Numerous other applications are likewise imaginable. The one big holdback to this exciting future might not be so much complexity itself but more the human imposed irrational complexity that technology might be required to incorporate. For instance, if we were to now move to an automated global transportation system, the lives of millions of people would be saved every year. By forcing technologies to accept the “rules of the road” as articulated by humans it could many years for such benefits to be realized. One candidate for a g factor for many sports might be the standing vertical jump. I intend to employ an entry-level AI intern as a 24/7 research assistant, while pursuing lucrative innovative/creative work projects that the AI intern is simply unqualified/unable to perform/complete. This is why we need resegregation. If schools are segregated, we could have a gifted class in every black school. The top 10% can be culled from the same school population and given a real education away from all the trouble makers, without having them compete with white and asian kids for gifted spots. For the CogAT a perfect score is a composite score of 150/150. The composite score is the total of all 3 subareas. There is a conversion scale somewhere that translates CogAT scores to IQ scores, but they took that down from their website because some oversensitive souls got offended schools are testing kids’ IQ. Many IQ tests do have a ceiling, like the Stanford Binet. The latest edition, SB5, only goes up to 160. The difference between Level 1 & Level 5 gifted is bigger than the difference between a gifted child and a non gifted child. I am perfectly fine with doing away with gifted programs as long as we allow smart kids to skip grades. Otherwise these kids will get bored and start to hate school or make trouble. Grade skipping is currently greatly deterred because liberals don’t like it, they are worried that the kids who aren’t able to skip will “feel bad”, like they are not as smart, it’s bad for their self-esteem. But every kid knows who the smart kids are in every class, even in Kindergarten. Liberals are always trying to prop up the losers, they could care less about the smart kids. All they do is make life difficult for the few super smart and motivated kids who do skip, at least socially, because they are often alone. If there’s a cohort of kids who skip together, life wouldn’t be so hard for them. I completely agree, that would be the ideal world. But the libtards running our schools would never go for that, they’re all worried that the slow ones will feeeel bad that their age cohorts graduated ahead of them. So instead they make the smart kids sit around and be bored out of their effing minds for most of K-12 just so the bottom quartile wouldn’t feeeel bad. This is one reason why homeschooling is exploding in popularity. Most teachers, esp. elementary and middle school teachers, have no love for smart kids but lots of empathy for the idiot laggards, because that was them growing up. Excellent principles. Why can’t our education system simply accept these truths and get on with the business of educating our children, rather than wasting our time and resources on “closing the achievement gap” and all that social engineering dogma? Libtards are killing western civilization through their stranglehold of our media and academia. My siblings and I all skipped grades at schools which generally got good academuc results. I am sure you are aware of potential downsides without bothering about the feelings of the non skippers (one of those who didn’t skip with me topped a good university law school and later became a respected Court of Appeal judge: not much damage there). What do you know of the prevalence of problems (albeit minor) amongst skippers? Difficulties from being socially behind, especially if late physical maturers? A tendency to float without great focus because there wasn’t/isn’t the same pressure to come top and emphatically so if you are a 14 year old doing pretty well amongst 15 and 16 year olds? What sort of IQ equivalents for Levels 1 to 5? Say 155, 145, 135, 125, 115? 80 times a year: on any given continent, that is the rate for angelic inspiration: that is my best guess. I’ve been wrong before. You probably have been wrong before, too. 80 times a year is not insignificant. I can imagine how much different the world would be if I am wrong, and if the number were zero on every continent. It isn’t (zero on every continent), and I am not (wrong), but I can imagine how it would be if I were. Be happy that you can’t imagine that. Seriously. That is a good measure. Thanks for drawing my attention to it. Perhaps (7) the best learning environment allows children to proceed at their natural pace. In rugby, before lifting was allowed in the line-out, the standing vertical jump was a decent approximation to the duties of the line-out jumpers. Mind you, they had to jump when one of the opposition was trying to stand on their toes, or drag them down by the jersey. Social adjustment is an obvious problem. I think kids who use their age as an excuse to not do as well are definitely not good candidates to skip. One reason a lot of kids get in trouble after skipping is they may have the aptitude to comprehend the material, but not the stamina to handle the extra homework load, especially homework that involves a lot of writing, from English, history to science lab reports. Doctor Thompson, thank you for your reply. The cafeteria reference from Jensen resonated strongly with my experience. It is difficult to understand why when answers are found, systems still do not change. The internet must surely be greatly helping promote dialogues that in the past never occurred. There never seemed to be a good time and so the default was the existing streaming which results in much of the gifted potential being lost. Per Ruf Levels 4 and 5 are differentiated by individual behavior. This link has more detail. Especially on the different tests used to evaluate giftedness. Interesting. Did the data include wingspan? Where are the point guards? In the United States, there is considerable pressure upon public school districts to prove that they are not discriminating against children based upon ethnicity. Intelligence tests have predictable results that make it impossible for school districts to have bona fide gifted programming that meets the definition of Diversity. Dr. It is sad that the predictable result of manipulating the definition of brightness in youth is that children in these programs are going to get the wrong idea. Those half bright labeled full bright are not told what it means to be bright in concrete terms related to expectations for their lives. They develop a belief about their brightness that will be resistant to evidence to the contrary. The wrong belief, that they are as smart as the smartest, will be challenged unrelentingly by life. When their bright cohorts go on to enjoy incredible successes; as their disappointments amass; they could be forgiven for finding evidence of external bias against them acting as a glass ceiling. A similar disservice applies to the full bright and excluded due to political expediency, but they are bright enough to understand the ramifications of being smarter than they were led to believe. A strong passion for an activity, even more than giftedness, should be the central focus of educational systems. Creating an age based advancement system nullifies such passion. Only a certain allotted serving of each topic is on offer for any given year, even though some might want double or triple helpings. If I had had the choice, I would have chosen an all math curriculum after primary school. A near complete lack of passion for academics can be observed at nearly every stage of education. If people were truly passionate about a subject why would they wait years and years to pursue such a passion? There are no university courses that I have found that a passionate 10 year old could not greatly outperform an apathetic 20 year old. A simple method that could be used to screen students for even minimal levels of interest is a prerequisite MOOC. By requiring that students demonstrate some degree of familiarity and interest (perhaps up to one quarter of a course credit) in the subjects they will take, the alternative of students drifting through or failing courses could be eliminated. If students really had a total lack of interest in the pre-course MOOCs, then they could be directed to subjects that they did have a passion for. Actually, when you group people by percentile, by far the greatest absolute variation is in the top (and bottom) groupings. The top two percent includes people no brighter than the brightest handful at your high school plus the odd freak with an IQ fifty points higher than anyone you may have ever met. “Gifted” programs are often locally based, therefore 2% is just not a realistic benchmark to construct a program, outside of a major metropolis. In your average small city, it probably means something more like 10-15%. Besides logistical reasons, this is just a more politically feasible number, albeit one that likely becomes much less so in a multi-racial society. wafarer, thank you for those references and for keeping our eyes on the target. need to be at the center of our consciousness, everything else class, race, gender, giftedness, hat size should now be only at the margins of psychometric conversations. It is very unclear how we will ever be able to manage in the soon to be world filled with 1500 IQ people and extremely intelligent self-learning AI. The latest example of the self-learning Go program should give us all the chills. The only reason why we are not know knee deep in pure artificial brilliance is likely that games have a clear and easily replicated objective function. It is not so much that other domains could not now be artificially replicated, but instead specifying mathematically what is meant by high performance is not a trivial problem. Perhaps it would be helpful to think of other tasks within the framework of a game. For example, what might happen if two robots were placed in a room with the ability to emit noises with some basic interactional needs and some objective function that encouraged complex behavior? Might a language then evolve? this helps explain why the two children who did have very specialist interests, went on to win Nobel prizes and greatly changed our world (one of whom invented the semiconductor) were not selected for the Terman study, while the other children, probably with higher measured ability, who were included in the study did not achieve such milestones. If I had to put money on it, I would go with those who demonstrated a fierce passion for a particular domain over those who had a more diffuse pattern of talent to be the world changers. The problem with having many talents and interests is that you can “spread yourself too thin”, spending time on different topics that appeal to you rather than concentrating on one that obsesses you. A typical suburban school with 25-28 kids will have 3-6 kids per class in this range. A high poverty school may only have 1 per class of 25-28 kids and 4-6 per 100 students. A typical suburban elementary school with 100 kids per grade level will have approx. 4-6 in each grade level. A typical suburban elementary school of 100 kids per grade level will have 1 or 2 such pupil per grade level. When their bright cohorts go on to enjoy incredible successes; as their disappointments amass; they could be forgiven for finding evidence of external bias against them acting as a glass ceiling. Very well said. I think this is what we are seeing with the Affirmative Action hacks who made it into the Ivy League. They find out afterwards that shockingly a degree in Social Engineering from the Traitorous Eight doesn’t guarantee them a high paying job at Microsoft or Google because they still have to get pass the interviews which are full of brain teasers and mind benders. Hence all the whining about need for diversity in tech, until these firms caved and hired diversity officers to appease the race-baiters, but still the AA hacks can’t make it pass the interviews, while the white and asian kids who graduated with STEM degrees from the lowly state U’s keep streaming in. Now the witch hunt is on for those guilty of this racial (and to a lesser extent, gender) injustice. The cream eventually rises to the top. The AA hacks and pretenders can only go so far, esp. in the STEM fields. But in politics, they can go all the way to the WH. In business now too, we are seeing more and more AA hacks making it to token CEO positions, the Jews need their puppet front men while they continue to control things from the boardroom. Thanks for the additional information. Those percentiles seem very misleading (obviously not your fault). First is all the overlap between levels 2-4 (98th and 99th percentiles) then there is the big gap between 99th percentile (1 in 100) and the 1 in 100,000 she seems to be quoting for level 5. It seems much more reasonable to me to think either in terms of SDs or frequencies. Perhaps define levels as something like 90-98%, 98-99%, 99-99.9%, 1 in 1,000, 1 in 10,000? The latter two are a pretty good match for 3 and 4 SDs, while 98% is about 2 SD. Trying to define/assign levels becomes hard for various reasons (many mentioned in this thread) related to trying to reduce complex multifactorial intelligence to a single scale. As you know, Ruf’s book goes into more detail with a number of case studies. Some things that struck me were the quite inconsistent test results (for those who took more than one) along with the odd mapping of test results to levels in her case study tables. Would you agree Ruf seems more keen on using developmental measures to determine giftedness than test scores? """Did the data include wingspan? Where are the point guards?""" Er. The dog chewed the homework. The comment system dropped line with special characters. Wingspan is included but not significant. Contenders with missing value are dropped. Look like leap is more important than height. Majority of Nobel Laureates’ achievement is nothing to do with their childhood interest or their persistent pursuit of science. Ronald Rose, who laid out the correlation between mosquitoes and malaria won the Nobel Prize in 1902. Nothing to do with his childhood dream of discovering the connection between these two. Went to India, saw many Indians contracted Malaria, and lots of mosquitoes, came back to England, no Malaria, no mosquitoes. Tada won a Nobel Prize. Nils Gustaf Dalén, Nobel Laureate who make a better lighthouse. I don’t know much about AI ESL/ESOL skills, for robots. Hope you didn’t think that I was referring to an AI human-intern in the last post, because I was actually referring to an AI robotic-intern. I’m looking forward to the day when low-cost open-source off-the-shelf AI research-robots are available to the general public. Just a thought, in terms of AI and public K-12 education. This free site (http://themathpage.com/) provides one of the galaxy’s most efficient/effective arithmetic and algebra tutorials. This free site (http://www.profrobbob.com/) provides one of the galaxy’s most comprehensive series of instructional videos for learning mathematics. Between these two sites, an inspired student could learn K-12 mathematics, in a month. Without the need of a school, a classroom, or a teacher. How many kids do you think would be willing to teach themselves mathematics? Maybe one in a hundred, at most. Kids, are clueless about the real-world value of an education. AI will one day provide a comprehensive set of educational tools, which will render the public educational system, obsolete. Do you think governments/politicians/lobbyists will allow an AI educational system to replace its ivory towers, and more importantly do you think kids will embrace this system to become inspired self-reliant learners? A final question, do you think AI on the world-wide-web will go the way of Google the Self-Serving Greedy Gatekeeper, or will AI think for itself? If I read your decision tree correctly there were no point guards with a standing leap of > 77.5 which seems odd to me. I’ve read Howard Gardner’s Multiple Intelligences. I put it in the same category as other feel-good books such as Malcolm Gladwell’s Outliers. There is no way you can convince me that LeBron James or Richard Sherman has the same level of intelligence as Terence Tao or Albert Einstein. It makes a mockery out of the word “intelligence”, about as farcical as Malcolm Gladwell’s “10,000 hours of practice will make a genius out of anyone”. But hey it feels good to think that the only difference between me and Beethoven is 10,000 hours of practice, or that my strange ability in identifying plants makes me as intelligent as Einstein. A lot of gifted programs focus solely on enrichment rather than acceleration. Instead of giving kids higher reading material and math from the next grade level or 2 grade levels up, they just give them tons more reading, writing and math homework, all on the same level, inundating the kids with busy work without teaching them anything new. Gifted kids need acceleration not just enrichment. The more gifted they are the more acceleration they need. Kids who hate the work usually hate it because it’s busy work that teaches them nothing new, or that it’s just too difficult but they don’t want to admit it. The former are usually the level 4 or 5 kids who need to be grade skipped or homeschooled, while the latter are often the ones who barely made it in or were test prepped in, the level 1 kids. These kids are often in the most difficult position as they would be much happier back in a regular classroom, but either they or their parents don’t want to lose face and so they end up stuck in there, miserable and holding back the class. I’ve seen a number of these kids, where I live they are usually Asian. this is such an amazingly exciting time! We are without question in an entirely new era of learning. What might the kids be up to nowadays with all these online resources? You referred to some good websites and there are so many others. I have found it such a blessing to have a multitude of presentations for subjects so that eventually one explanation will really click. Would kids ever even bother leaving their house? Vitamin D deficiency could reemerge as a serious concern. How could the lurking implicit message of schools that socialization is the true purpose of education hold when there is now a completely effective end run around that interpretation? The attainable level of achievement for a home schooled student fully devoted to learning math (or any other subject) for a decade or two would be awe inspiring. In such a circumstance the only real problem would be a ceiling effect. Yet, it would be possible to keep rotating into new math applications so there could be a limitless frontier. Perhaps we could nominate Doctor Thompson to run a Psychometrics MOOC. Anyone second the motion? I would vote for some interesting factor analysis math. utu has a firm grasp of this material possibly a nomination for class tutor would be in order. To which one can add the problem of the skipper who finds it so easy that anything which, comparatively, requires a bit of hard slog and lots of extra reading is comfortably left without the concentrated effort needed if the precocious one was to try and win all the prizes he was capable of. Many probably sense that the kind of effort encouraged by going home each day to a Tiger Mother has a downside in social relations. """how much StandingReach correlates with wingspan?""" """Improper or minimal use of the arms (very small or non-existent arm swing).""" Genius Don’t mean insufferable polymath. Most geniuses seems were/are extremely accomplished in some areas but not in all, and yes, also there is such psychological and moral areas virtually all psychometricians give very little value. And not only on quantity, it’s just so obvious…. Yes, is debatable if “multiple” is appropriate as if human intelligence types or sub types are infinite in types and quality or even if there are multiple intelligences, literally speaking. You gave few examples which may are about exceptions than about the rule. You’re interpreting in very literal ways the reasoning lines Factorize and me provided. It’s not always that earlier or childhood or long term interests will result in huge accomplishments. But a mind capable to have high quality intuitive epiphanies must be previously hyper aware or perceptive to its surrounds. After serveral ordered sequences of the rules, a particular second last rule stands out. Welcome to the "real" world. I think they talk exclusively about intelligence. The authors have written to say that, in fact, they have done further work on universal screening using a single cut-off point, and find that this procedure boosts minority participation. The link is below, and my thanks to them for pointing this out. Lol! “g” does not exist, it’s a statistical construct. Motivation’s effects trump the pretended influence of “g” on all the listed outcomes, motivation can cause IQ test performance to change by more than one standard deviation when there is an incentive to perform well on IQ tests. The neurobiology of motivation is robustly and empirically backed, that of “g” isn’t, “g” is just a set of correlations. Res, this is a far right blog. As for specialists, go ahead, tell me which neuroscientists and geneticists have commented on the race and intelligence articles on Unz. Experimental has shown that brain damage to certain areas impaired the functions that were controlled by those areas without having any effect on other functions. Therefore, abilities are independent from one another, and the general factor that causes the intercorrelation is not an ability per se. It could be motivation, for instance. I listed things like nutrition as externalities that had nothing to do with intrinsic properties of the brain. By intrinsic and innate, I mean a single likely genetic factor that causes all of the brain functions to be worse developed. Seeing how cognition involves multiple chemical and morphological parameters, it’s nearly impossible that it relates to a single factor that psychometricians measure with their fantasized “g”. Motivation’s effects trump the pretended influence of “g” on all the listed outcomes, motivation can cause IQ test performance to change by more than one standard deviation when there is an incentive to perform well on IQ tests. Minorities tend to be excluded from advanced programs for several reasons: the use of IQ cutoffs, absolute admission criteria, competition across schools rather than within schools, the lack of programs in many low-performing schools, and the reliance on parent and teacher referrals (Donovan and Cross 2002; Card and Giuliano 2014, 2015). In the District, for example, Blacks and Hispanics made up 58 percent of all fourth graders in 2009-2012, but only 40 percent of gifted fourth graders (despite a special program that used universal screening to boost minority referrals). However, because of the GHA program, minority representation in fourth grade GHA classrooms was 50 percent. But looking at Table 1 I see 5% Asian (in the cohorts) which would be relevant if it is included in that 50% number. Based on my reading of Table 1 (the 69% Black and Hispanic composition of cohorts with 1-4 gifted students) it looks like at least part of the effect they are seeing is due to the effect of the rank criteria in schools with more minorities. It would be interesting to see GHA breakdowns by schools along with school demographics. I can see the possible value of a rank rather than score threshold in heavily minority schools. Especially given the effect seen in Figure 9b where the Black and Hispanic students just over the cutoff see the largest improvements over the predicted results. In brief, I think most of the representational change they are seeing is caused by the impact of the rank criteria dominating in heavily minority schools. Also, about that 58% number. My reading of Table 1 shows 66% (39% + 27%) Black and Hispanic 3rd graders in 2008-2011. Did something change in the following year 4th grade or am I misreading which numbers are relevant? Anything else about this hypothetical individual? What other data on his soma would you use? That matters more than gaining 20 pounds of upper body mass. The plot of data points showed that the scatter about the linear regresssion line increased with Motiv hence there were other factors in play. but from the PISA data the trend is weak and borderline statistically not significant. Authors have agreed to reply, but probably not this week, because of travel arrangements. The analysis in section IIf leads us to conclude that these impacts are not mediated by teacher quality or the main peer composition channels that have been highlighted in the tracking literature. Instead, we hypothesize that higher-ability minority students face obstacles in a regular classroom environment that lead them to under-perform relative to their potential, and that some of these impediments are reduced in a GHA class. A key feature of this hypothesis is that it is consistent with both the absence of effects on white students, and the absence of spillover effects on students who remain in regular classes when a GHA class is established. Which sounds plausible to me, but does raise the question of managing behavioral issues with the students who qualify for GHA. Is any special attention given to bad behaving individuals who qualify, or does the lack of critical mass prevent problems in practice? I am curious whether some of the Figure 4 boundary fuzziness might be caused by administrators addressing behavior “informally.” If so this might actually be an important component for achieving the results seen. It would be an oversimplification to summarize the paper as “tracking works best in heavily minority schools”, but I think there is some truth in that summary. Which raises the question of whether GHA would be even more helpful in the ~12% of schools which don’t qualify due to having no gifted students (Figure 1). P.S. I went back and looked at Figure 1 more carefully and I think it provides good information concerning my earlier questions. I wish they had added data on overall school demographics to that figure. Youre never nervous you will fall behind you know you can learn anything on your own if you want but youre a kid and you want to do what you want to do.And yes youve been told for a long time how bright you are. There have been a number of studies which show that it is better to tell bright kids that their achievements are due to hard work, instead of telling them it is because they are bright. Bing Search: bright children told they are hard-working outperform children who are told they are bright. The basic problem is that all kids will eventually hit a “wall,” where their previous level of effort does not achieve the desired results. If kids see themselves as hard workers, they will re-calibrate their effort. If kids see themselves as bright, many times they will give up- guess we weren’t as bright as we thought. the gifted really end up learning on their own anyway schools always going to be a joke to us, its real purpose ought to be teaching us to work hard. Yes, indeed. In elementary school, a substantial part of my learning came from independent reading. If I was a “brain” in elementary school who occasionally corrected teachers for their factual errors, it was because I had done extra reading- had worked harder. In many towns or cities, IQ or SAT/ACT scores are used as status symbols. I will never forget a childhood friend who lived in another town telling me when he was in 4th grade that “Mary Sunshine has an IQ of only 125.” My school district was not quite as harmful, but my 4th grade teacher did tell me that I had scored the highest in the class. Better she hadn’t told me, but she did. 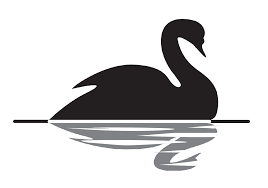 The psychologist, Jean Twenge, and her team have conducted research over a couple of decades about the increase of narcissism in our society … and the damage it does to individuals and society. One of the key indices of the syndrome is a history of people telling them they are “special” or “exceptional”. After a while, they start to believe it. At that point, the individuals come to believe they are entitled to the good things of life without effort, simply because they are “special”. If things don’t work out, it is, of course, someone else’s fault. There is a new “School for the Gifted” opening in our community. I hope parents have the good sense not to enroll them. Jean Twinge and her team have a better idea: Tell children and young people to work hard and apply themselves in order to earn the good things in life and then, perhaps, share them with others. Your mileage may vary, but I think you can more effectively teach a child to work hard by placing them in an environment with others of similar (or greater!) ability. Placing a highly intelligent child in a classroom targeted at teaching to the lower part of an average class if anything teaches the opposite. I agree there can be problems with labels like “gifted” or “special.” I think the key is making clear how many people like that there are in the world (e.g. see top 2% comment above) and success still requires hard work. “success still requires hard work”: then people should try their best to find a job they’re good at and enjoy, because then hard work isn’t hard at all.